Human enterovirus 71 viruses have been long circulating throughout the world. In this study, we performed a positive selection analysis of the VP1 genes of capsid proteins from Enterovirus 71 viruses. Our results showed that although most sites were under negative or neutral evolution, four positions of the VP1 genes were under positive selection pressure. This might account for the spread and frequent outbreaks of the viruses and the enhanced neurovirulence. In particular, position 98 might be involved in neutralizing antibodies, modulating the virus-receptor interaction and enhancing the virulence of the viruses. Moreover, both positions 145 and 241 might correlate to determine the receptor specificity. However, these positions did not display much difference in amino acid polymorphism. 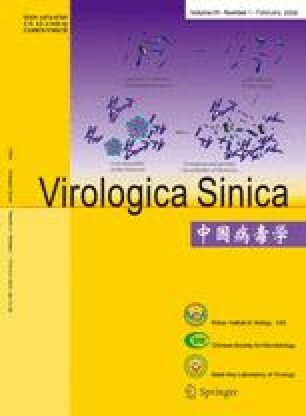 In addition, no position in the VP1 genes of viruses isolated from China was under positive selection.